As the article below states the Emerging Church is about: "its belief that the Kingdom of God is here and now, its concern for the communal over the individual, its understanding of social justice as being Godly work, not a civil or moral concern, and a host of other defining traits and principles..."
THE EMERGING CHURCH IS A CONVERGING CHURCH WITH ROME, ISN'T IT? Isn't this was the Jesuit plan is all about? Isn't this what David Barton's plan is all about? Isn't this what Obama's Plan is all about? Isn't this what Rick Warren, Sarah Palin, Tony Blair and the pope's plan is all about? For the second time in less than four months, Memphis is to be the site of a significant gathering of Emergence Christians. Last December, a body of Emergence teaching-pastors gathered here for the first Re-Union of Outlaw Preachers, a meeting that, as its name indicates, primarily drew Emergence workers and worship leaders. The gathering this month, to be at St. Luke's Methodist Church on Highland and labeled as the Navigate Conference, is different in that it is being held not only for Emergence Christians, but also -- and perhaps even most important -- for those from other branches of the faith who want to learn more about this relatively new and rapidly growing division of Christianity. 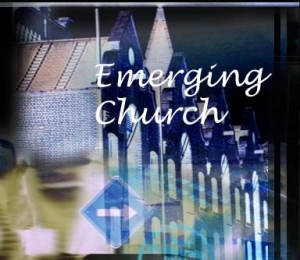 Coming up out of all the shifts and turmoil of our times in just the same way that Protestantism arose 500 years ago out of the upheavals of the 16th century, Emergence is characterized by its de-institutionalized nature, its rejection of hierarchy and favored status, its belief in narrative theology over propositional or doctrinal theology, its belief that the Kingdom of God is here and now, its concern for the communal over the individual, its understanding of social justice as being Godly work, not a civil or moral concern, and a host of other defining traits and principles. Among others, both local and otherwise, who will facilitate the conversation and guide the course of discussion will be Doug Pagitt, founding pastor of Solomon's Porch in Minneapolis. As a practitioner of, and major influence in, Emergence Christianity in this country as well as abroad, Pagitt's particular gift is in being able to combine theory, theology and concept with the more mundane business of practice, liturgy and application.